So I started thinking about how names were changed when people came into covenant or relationship with God. We see it first with Abram becoming Abraham and Sarai becoming Sarah. During this same time frame, there was a guy named Nimrod. Scripture says he “became” a gibburim or mighty hunter before the Lord. 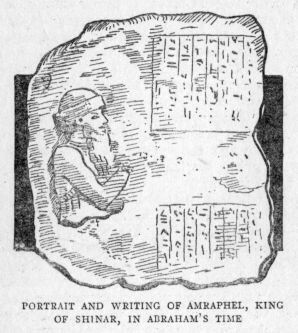 Another name for Nimrod was Amrâphel from the land of Shinar. There are two Jewish legends of how Nimrod died. One is that Shem (Noah’s) son killed him and another is Esau beheaded him and then took the skins which originally belonged to Adam. I’m leaving a lot of info out on purpose. My question is this…did Nimrod’s name change like Abraham’s when he made a covenant with Satan? 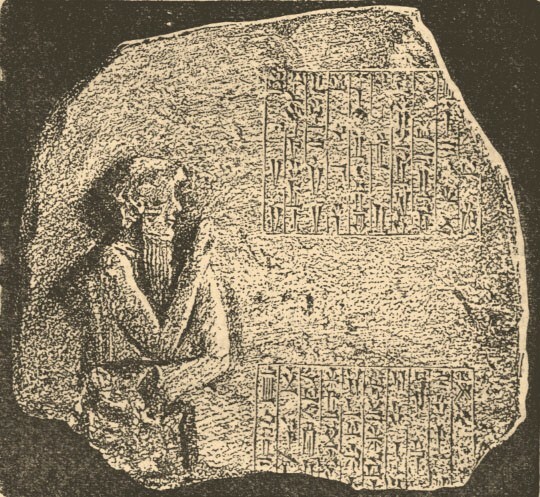 Some say Nimrod “rebel, subduer of the leopard” was just a title like Baal, but was it? Amrâphel means “darkness”, a notarikon-type play on the words amarah (“statement”) and afelah (“darkness”)”. Some scholars believe it means “causes to fall”. When he “became mighty”, did this mans name change too? Another thought is this…we know the significance if Shem killed him. That’s a given. But what does it mean if Esau actually killed him? Remember, it was after this event that Esau gave up HIS birthright to Jacob (who’s name later changed to Israel). Did Esau just give up everything because he was hungry or was there more to it? Obtaining this “skin” from Nimrod, did he somehow change too? Now if Esau beheaded Nimrod, how did Esau die? The book of Jasher says Esau prevented Jacob’s burial when He died. This caused a war with these two brothers families and this is how Esau died. “It was at this time that Dan’s son, a man who could not speak or hear, walked up to Esau and severed his head from his body. Yasher 56:63 And Chushim was dumb and deaf, still he understood the voice of consternation amongst men. 64 And he asked, saying, Why do you not bury the dead, and what is this great consternation? And they answered him the words of Esau and his sons; and he ran to Esau in the midst of the battle, and he slew Esau with a sword, and he cut off his head, and it sprang to a distance, and Esau fell amongst the people of the battle. 65 And when Chushim did this thing Jacob’s sons prevailed over Esau’s sons, and Jacob’s sons buried their father Jacob by force in the cave, and Esau’s sons beheld it. After Esau died his sons ran away with his body but left his head.” (http://weareisrael.org/2014/10/21/jacob-esau-died/) So according to this, Dan’s son (the serpent by the way) Chushim beheaded Esau. We seem to see a pattern here. Nimrod beheaded. Esau beheaded. And Dan’s son avenged Esau. Evil begets evil begets evil. This is something to think about. Who knows, there may be nothing to any of this. Graven Image or Christmas Tree? Is the Red Heifer the Abomination Jesus spoke of? Per studies found on chabad.org, Nimrod was formerly called “Rav.” He was also known as Amrafel.